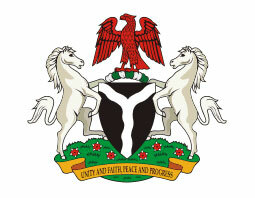 As part of efforts to achieve the goals of Vision 20:2020 and the Transformation Agenda, the Federal Government of Nigeria is developing a critical mass of professionals who would serve as catalysts of change and agents of scientific and technological advancement, as well as sustainable economic development. This is being achieved through the sponsorship of outstanding students for postgraduate studies at the top 25 world universities through the Presidential Special Scholarship Scheme for Innovation and Development (PRESSID). The PRESSID Implementation Committee now invites applications from qualified candidates for the third edition of the PRESSID scheme (2014/2015 academic session). Computing and Information Technology: Intelligent Robotic Systems, Computer Systems and Software Engineering Computer Information Systems, information Technology, Artificial Intelligence, Cyber-Security, etc. ***In the case of Medicine, Veterinary Medicine and. Pharmaceutical Sciences, candidates must have a minimum of 2 Distinctions in their Part 3 and Part 4 MBBS examinations or in their final results. Please note that universities in the United States of America, USA, require candidates to sit for the Graduate Record Exams (GRE) before they can secure admission. The top 25 universities in the world -- visit the official website via link below for a list of the current schools OR see the list below. Postgraduate level study in all fields related to scientific and technological advancement, as well as sustainable economic development. These will include, but not limited to, the Sciences, Medicine, Basic Medical Sciences, Engineering, Economics, Special aspects of Biology, Nuclear Physics, Quantitative Genetics, Medical Biochemistry, Aeronautical engineering, and many others. Interested candidates should visit the official website (link to it is below) to apply online. You are advised to cross check with the courses offered by your preferred institution before completing your application. It is very important to note that you are required to apply only once. You will be DISQUALIFIED if you apply twice. All applications must have been received on or before the closing date of 18th October, 2014. You NEED to cross check the courses offered by your preferred institution before completing your application. Only shortlisted candidates will be invited for further screening. For further enquiries, please contact the Scholarship Committee through pressid@nuc.edu.ng or presidentialscholarshipscheme@gmail.com.